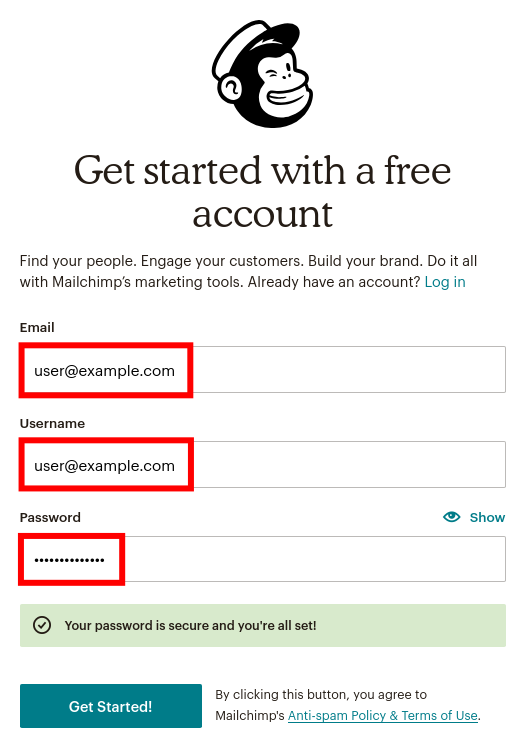 Now that you've decided to use MailChimp to manage your email marketing campaign, the first step is creating a free MailChimp account. 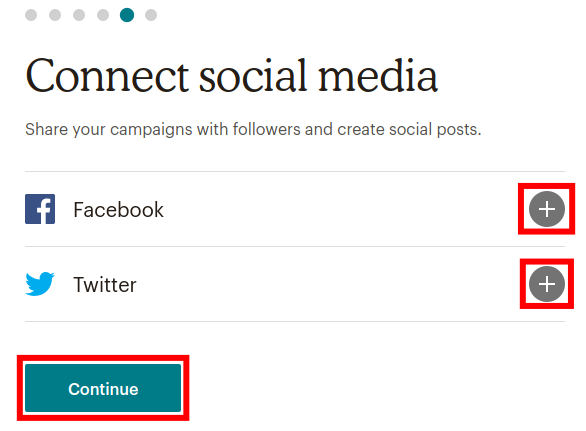 Once your account is created you can then connect MailChimp to your WordPress site and utilize the tools right from your Dashboard. 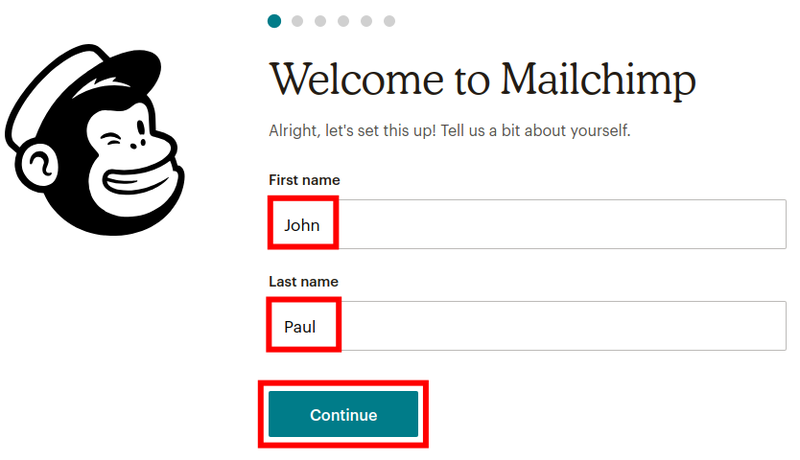 First, we will create an account, confirm it with an email, then register with MailChimp. It sounds like a lot of steps but follow along and we'll walk you through. Click the Sign Up Free button. Enter an Email address, Username, and Password. Click the Get Started! button. MailChimp will then advise you to check your email. 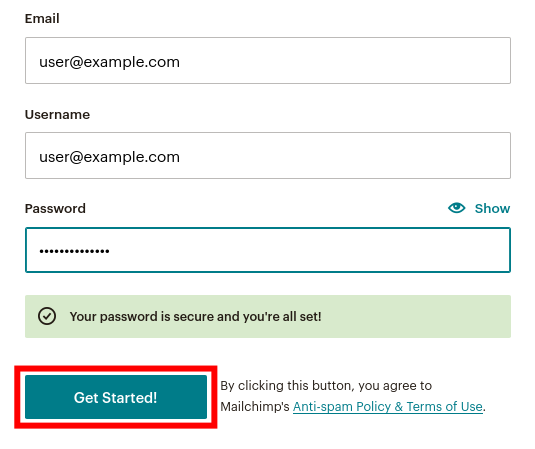 Now that you have created a MailChimp account, you will need to confirm with an email and complete the registration. 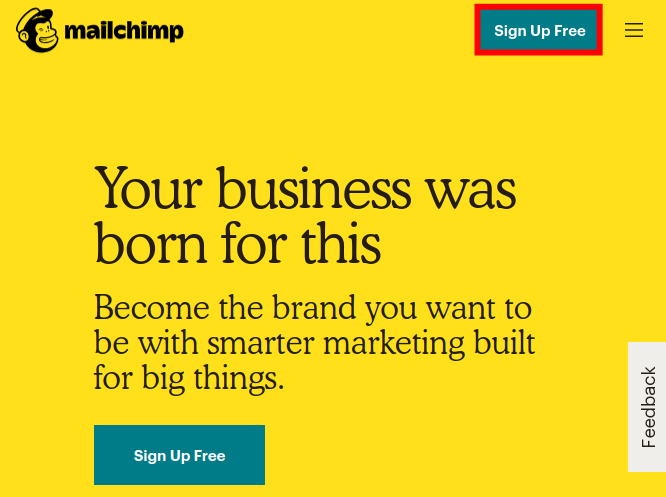 Check your email for a message from "clientservices@mailchimp.com" and click the provided link. 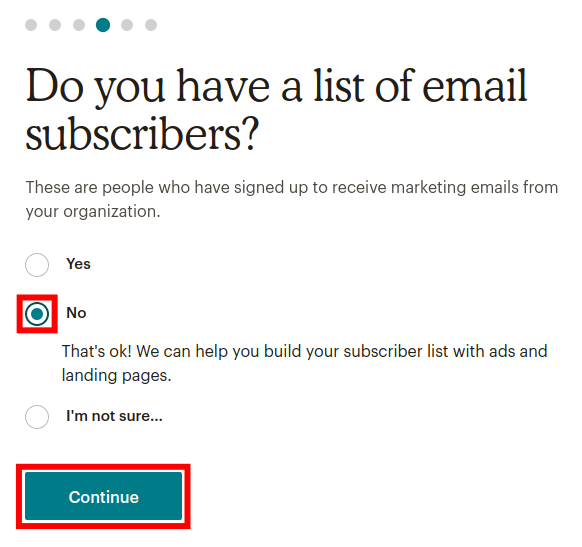 MailChimp will then ask you to "Confirm you're human." Click the button labeled I'm Not A Robot. Enter your First name and Last name on the next screen, then click the Continue button. 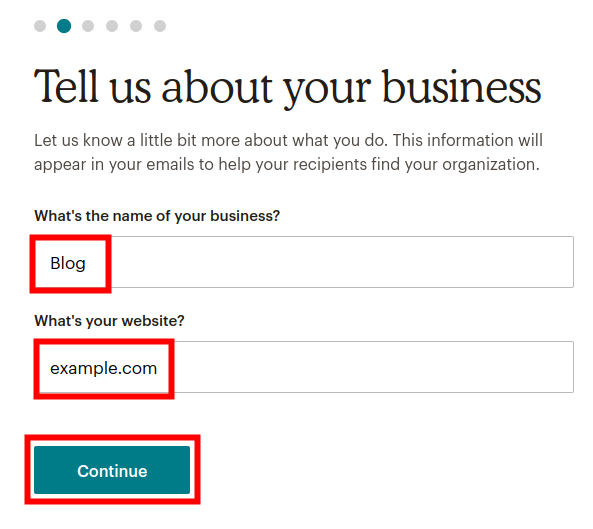 Enter the name of your business and your web address, then click the Continue button. Enter your address then click the Continue button. It will then ask you if you have a list of subscribers. Choose Yes, No, or I'm not sure then click the Continue button. You can connect to your social media accounts on the next screen. Click the Facebook and Twitter links to connect them. You will be prompted to log into the accounts. Click Continue when you are finished or to skip this step. 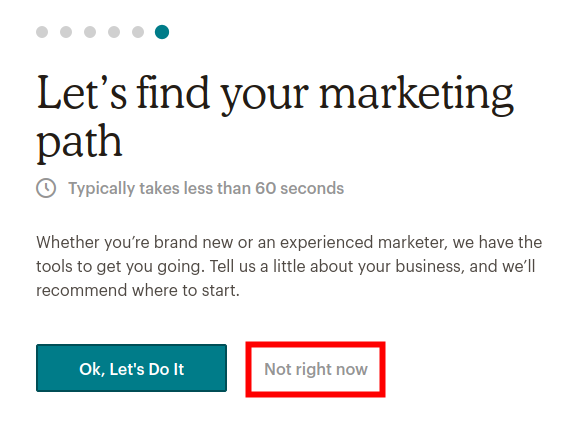 On the final step, MailChimp will ask if you want to utilize their marketing tools. Click Ok, Let's Do It if you want to try them or Not right now to continue. MailChimp will offer you add-ons on the next page. 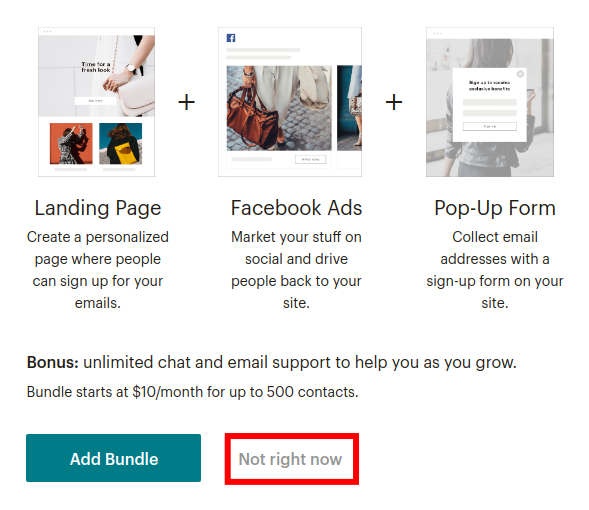 Click Not right now to continue or Add Bundle if you are interested. Your MailChimp Account is now set up. Click the Let's Go button to complete your setup. 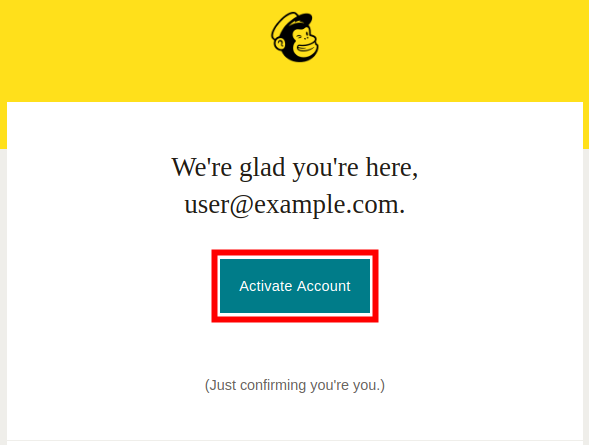 Congratulations, now you know how to create a MailChimp account! In the next guide, we will show you how to create your first MailChimp email. Did you know? 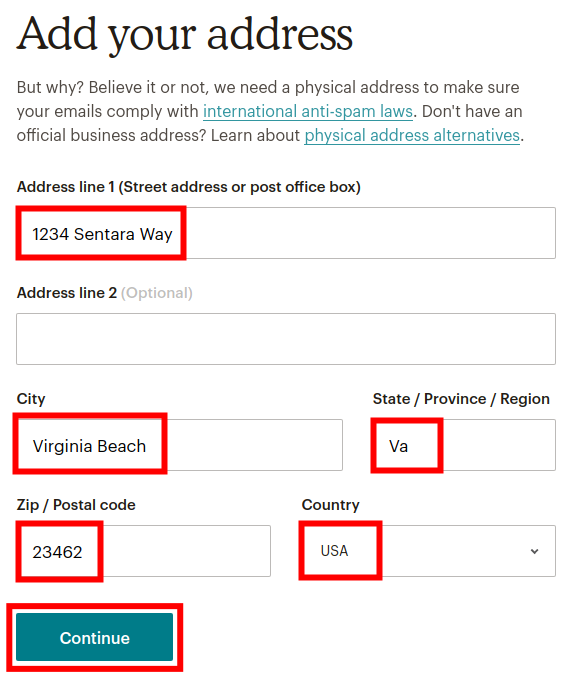 Not all hosting companies provide free Email Hosting. InMotion does and it's just one of the many features of our various web hosting plans.